Kim Jong Un’s brutal North Korean regime shot so-called “criminals” to death in schoolyards and fish markets in a twisted attempt to create an “atmosphere of fear” throughout the dictatorship, a Wednesday report from a human rights group revealed. 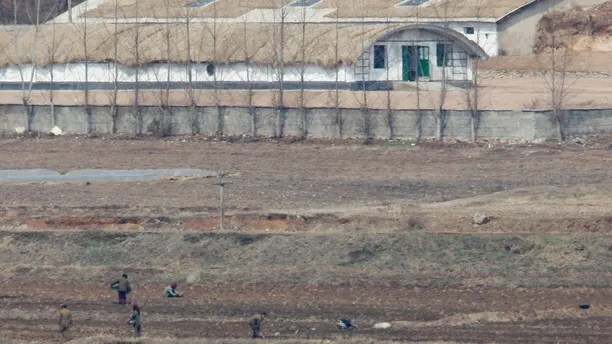 The report, released by The Transnational Justice Working Group in Seoul, gathered information from more than 300 North Korean refugees who witnessed the regime’s firing squad executing criminals in public areas to attract large crowds and instill fear in its citizens. “In ordinary areas outside the prison system, our interviewees stated that public executions take place near river banks, in river beds, near bridges, in public sports stadiums, in the local marketplace, on school grounds in the fringes of the city, or on mountainsides,” the report stated. North Koreans work on a field in the propaganda village of Gijungdong near the truce village of Panmunjom in the demilitarized zone in Paju, 42 km (26 miles) northwest of Seoul, that separates North Korea from the South . “Many interviewees said that the final decision for a public execution was often influenced by individuals having a ‘bad’ family background in addition to the crime they were alleged to have committed,” the report stated. The executions were carried out publicly to create an “atmosphere of fear,” according to the report. The South Korean non-governmental organization that authored the document also mapped out the “killing sites” in provinces within the dictatorship, hoping such detailed work would finally help to hold the rogue regime accountable for what TJWG called crimes against humanity. 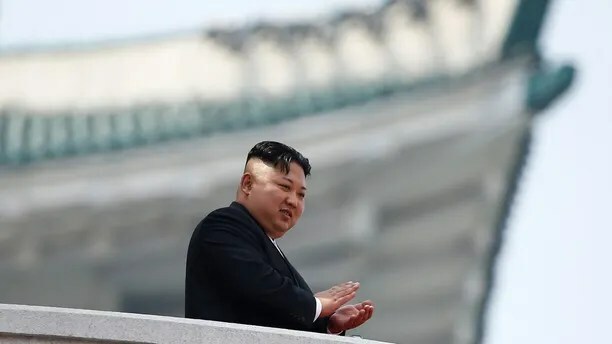 North Korean leader Kim Jong Un applauds during a military parade marking the 105th birth anniversary of the country’s founding father, Kim Il Sung. “The maps and the accompanying testimonies create a picture of the scale of the abuses that have taken place over decades,” the report said. Kim’s regime has long denied human rights abuses. But in 2014, a United Nations commission report found the country had a slew of human rights violations. Questions about North Korea’s treatment of prisoners recently made international news after American student Otto Warmbier died last month. Warmbier was sentenced to 15 years of hard labor last year for allegedly stealing a political poster from a hotel in Pyongyang. But North Korea returned him last month to his Cincinnati home in a coma. Warmbier suffered from severe brain damage and soon died. 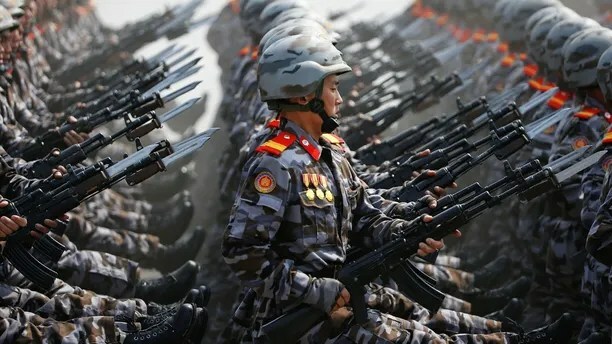 North Korean soldiers march during a military parade marking the 105th birth anniversary of country’s founding father, Kim Il Sung in Pyongyang, North Korea April 15, 2017. North Korea denied cruelly treating or torturing Warmbier during his time in prison, saying they were the “biggest victim” in the incident.